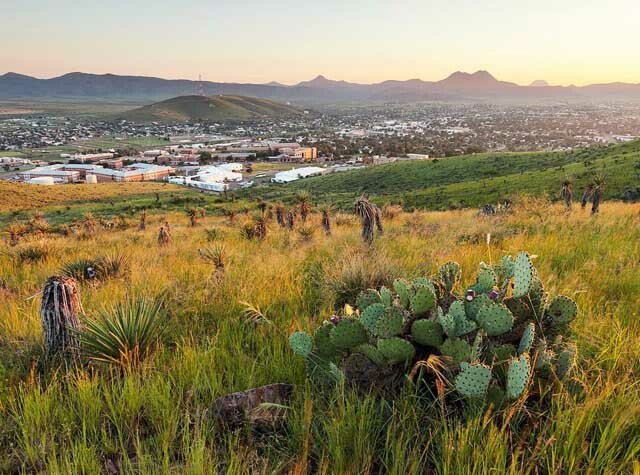 Settled among the magnificent mountains and scenic desert valleys of Far West Texas sits a one-of-a-kind town unlike anything else here in the Lone Star State. Welcome to Alpine, the hub of the Big Bend region. 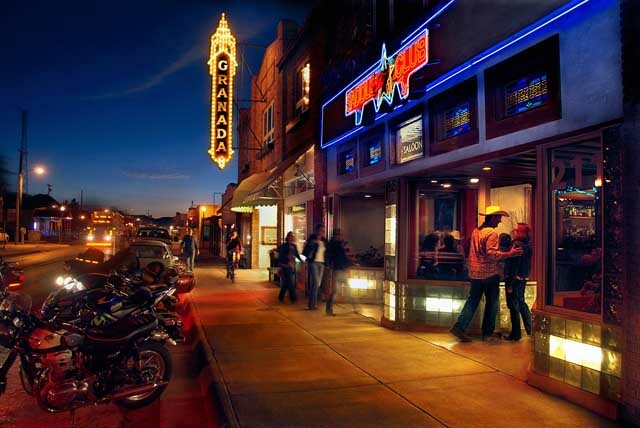 Home to unique art galleries, shops, restaurants, and live music venues, it’s the kind of place you’ll want to stick around for a while. Since it’s just over an hour away from Big Bend National Park, it’s also the ultimate West Texas day tripping destination. Whether you’re looking for an escape to small town Texas or to explore one of the most visited parks in the country, stay a while in Alpine. Drive anywhere near Alpine and you’ll notice the breathtaking beauty of the area. Rolling hills blanketed in desert grass ascend to the peaks of the Davis and Glass Mountains, all under a wide-open Texas sky. There are a few ways you can take in all of this for yourself while you’re in town. Climb the 20-minute hiking trail to the top of Hancock Hill for a spectacular 360-degree view of the area and leave your name in the guestbook stored in The Desk. To get to know the culture and history of the region at large, there’s no better place to go than the Museum of the Big Bend. Located on the campus of Sul Ross State University, the museum tells the tales of the people who have made the area what it is today, starting with the Native Americans to the Spanish missionaries and pioneer settlers. While Alpine has plenty to keep you busy, it’s also a fantastic starting point to exploring the rest of the Big Bend. Travel 25 minutes north to reach Fort Davis, home to the spectacular Davis Mountains State Park, the Chihuahuan Desert Nature Center, and the McDonald Observatory. Head south for the day to visit either Big Bend Ranch State Park or Big Bend National Park, two spectacular natural wonders full of trails to explore. Plan your next unforgettable getaway to Alpine, the hub of the Big Bend region.